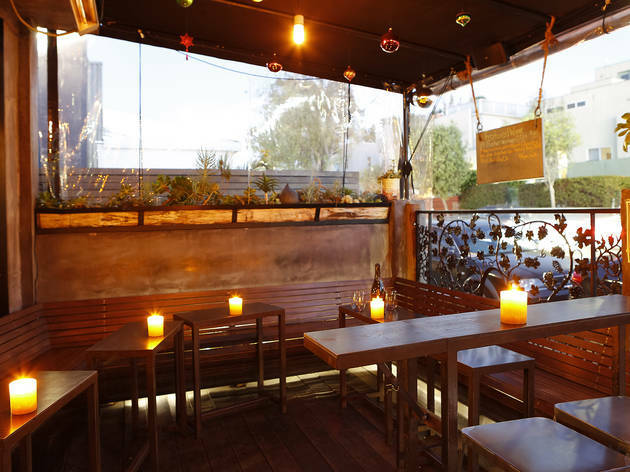 The smoky scent of grilled panini and pizzas fills the interior and tented patio space at Norma Alvarado and Oscar Hermosillo's 7-year old casual and intimate, beachside neighborhood wine bar. Cheese selections are a must and pair nicely with any wine or beer from a $5-20 list dominated mostly by Belgium, Germany and California. 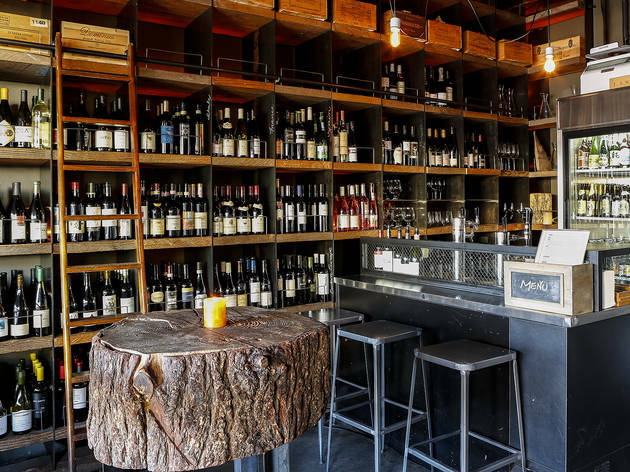 The staff is as low-key as the bar-goers but attentive and helpful in navigating an impressive list of wines from around the world. 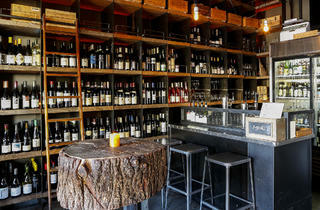 Good for: A truly down-to-earth wine bar experience. 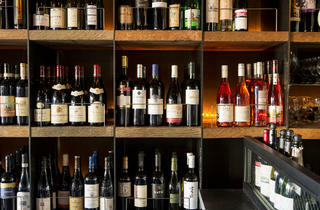 There’s no pretension here: Great wines, great food and a lively atmosphere make for an ideal post-work hangout. 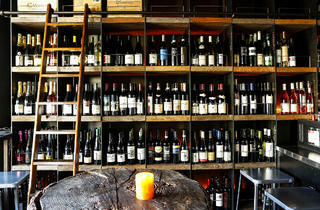 Weekday happy hour (4-7pm) sees 25% off bottles and a paired down menu of wines by the glass, beer and under $11 bite specials. 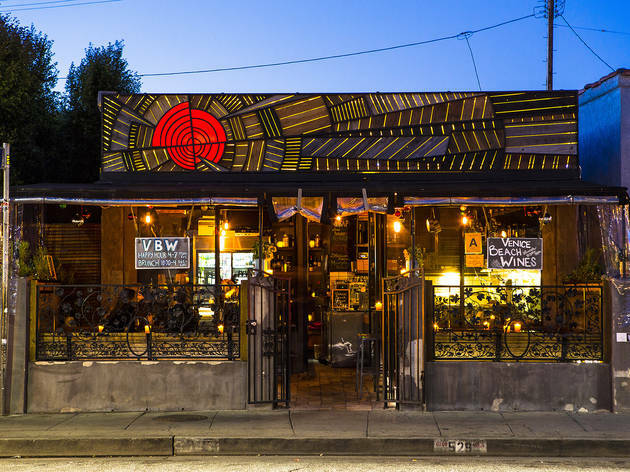 The scene: Venice’s eclectic, artsy crowd convene around communal tables—opt for the 4- 5-person table made from an old Oregon stump, but buzz around this tiny, Rose Avenue joint is traveling with in-the-know out-of-towners and smart Eastsiders. The playlist: Conversation is so lively that whatever is playing in the background is fairly unrecognizable during peak hours, so you’ll just have to project with your friends. 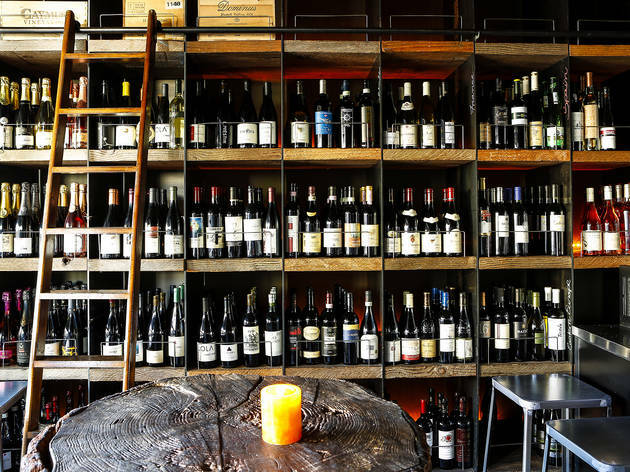 The bartender says: There’s a small plates, Mediterranean menu of cheese and charcuterie to salads and Panini from chef Jill Davie, formerly of Josie Restaurant. 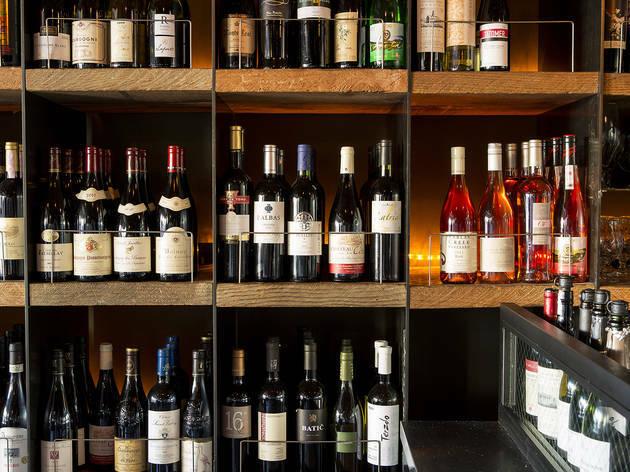 Drink this: There are 20 wines by the glass ranging in different prices, regions and varietals from a 100% Tempranillo house red ($10)—from local growers and more house wines to come—to Sexual Chocolate ($15), a rich Zinfandel and Syrah blend with a subtle mocha finish. 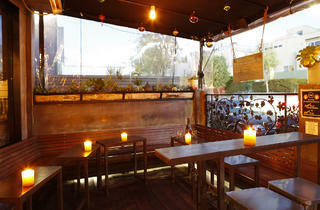 The perfect first date spot. Casual enough that there's no real pressure, but the atmosphere makes it still seem special. 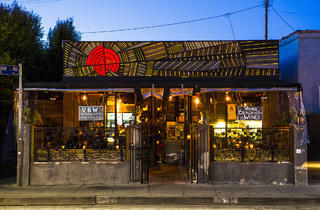 The staff is knowledgable and attentive, the food is delicious and very sharable. I remember when Oscar first opened the tiny shop on Rose Avenue. I purchased a bottle, (you know, help them out a bit) and thought, "Well, good luck..." Now, years later, I'm so happy that not only is there the wine shop, but also Cervateca. Some say he started the upswing on Rose, which was pretty barren before VBW. Congrats, Oscar and crew!